The social unconscious is vital for understanding persons and their groupings, ranging from families to societies, committees to organisations, and from small to median to large therapeutic groups, and essential for comprehensive clinical work. This series of volumes of contributions from an international network of psychoanalysts, analytical psychologists, group analysts and psychodramatists draw on the classical ideas of Freud, Klein and Jung, Bion, Foulkes and Moreno, and on contemporary relational perspectives, self-psychology and neuroscience. Volume 2 is concerned mainly with the foundation matrices of the social unconscious. It is focused on topics such as transmission, trauma, the foundation matrix, the social unconscious, the collective unconscious, totalitarianism, massification, and identity formation. 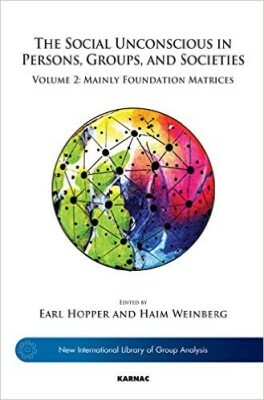 It also includes discussions of the foundation matrices of a number of countries including Germany, Brazil, Japan, Israel, Ireland, and the Czech Republic.